Is simple profits is another dirty scam or is it a legit money making method? Well, our staff conducted an in-depth investigation after receiving a flurry of new complaints, and found nothing genuine or profitable about this new binary options get-rich quick scheme. If you invest $100 and win, you stand to make $75, but if you lose we will hedge your loss so at worst you break even. The system advertises a “done for you”, push button auto-trading method which will generate millions of dollars for you. 1. Screenshots of phony bank accounts. 2. Fake logos – worst of all is the Better Business Bureau (see image above). 4. Exaggerated winnings in a short period of time. 5. Member’s area is really a broker registration form and has nothing to do with the crummy software. 6. Terms and Conditions are copied from an older scam called riskfreeprofits which is no longer live. When I tried contacting these ripoff artists looking for a reasonably fast and professional response, no one ever returned to me. Even when I asked about funding my account they were not interested in responding. Apparently they are dealing with so many traders that they don’t have time to get back to people. I tried looking for honest and positive reviews and did my research. I could only find some shady affiliate site promoting this stupid insured profits type of rehashed bogus claims. There is not one single piece of true information can be found. Even watchdog didn’t bother diving into the body of evidence since the con is so blatant and low. Scams like simpleprofits.co, insured profits, free money system, channel ranger, and binary matrix pro flourish because of two major reasons. First, the brokers associated with these scammers are begging for customers and will not have any qualms or quarrels with the advertisers and their tactics. Secondly, in many ways it’s like the tail wagging the dog because the affiliate generates the customers and the commissions he receives are so high that it’s just too attractive to ignore or pause to think about how to be a more responsible advertiser. 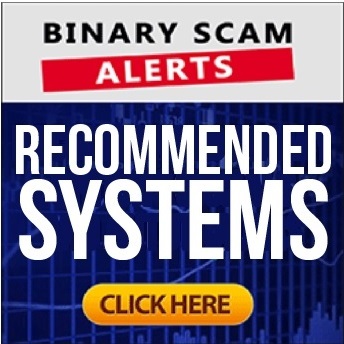 There are 10 points I outline in my free guide, and once you master these ten points you will no longer get scammed by binary options affiliates, or for that matter any promoter trying to push a deal online. To get your guide just leave a comment below or message me through our YouTube Channel. If you are sick of all the scam brokers out there we have a short list of 4 brokers we deal with and they are all recommended. We manage a tight ship and demand high standards from our brokers. Additionally, we offer a mediation service if you encounter any issue especially with cashing out or seizure of funds policies. Our strategic partners offer signals tools and strategies that will actually help you become a successful trader once you understand it takes a bit of time and a small initial investment. The so called Smartprofits app is really a scam and a stupid app, and if you invest your money or decide to fund an account with some shady broker don’t say I didn’t warn you because thee guys will steal your money without a trace of guilt or remorse.